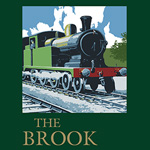 The Brook is a fantastic, friendly pub located in Sale, Cheshire. We serve a selection of award-winning JW Lees cask ales, as well as refreshing lagers, ciders and quality wines and spirits. With a proper pub atmosphere and some of the friendliest faces in the area, we’re popular with locals and visitors alike. You can enjoy all Sky Sports events throughout the pub, and even outside on our patio area. Perfect for watching the game with friends. We have a lounge and upstairs seating areas which are suitable for small parties and events, and we are all committed to providing you with the best service possible. The Brook has a lot to offer with a warm welcome and great atmosphere, so pop down for a cold pint, to support your local teams, or even to get involved in a brilliant trip with our regulars. We’re also dog friendly, so feel free to bring your four-legged friends with you. Watch all the fixtures on Sky Sports and BT Sports here. Support your local teams, win your chance for the ‘Best seat in the house’ and get involved in this year’s biggest events. Pic up a collector card from our bar to receive a free pint for you and a friend on a Monday. Ts&Cs apply.